UPDATE August 2009: The N&W tenders were removed from the yard on August 27, 2009. 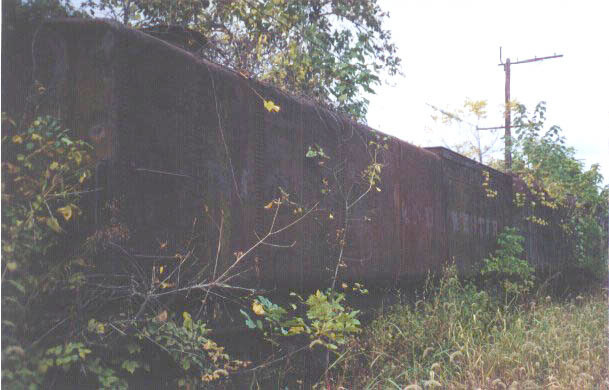 The smaller, 15,000-gallon tender was taken to the Virginia Museum of Transportation where it will be paired with N&W 1151. 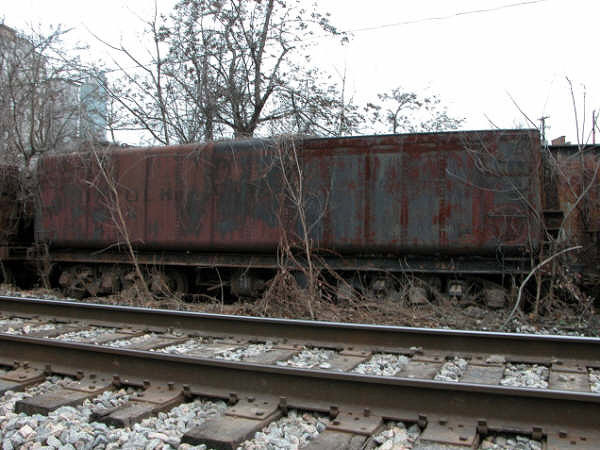 The 16,000-gallon tender and the flatcar were taken to North Fork Lumber in Goshen, Virginia. 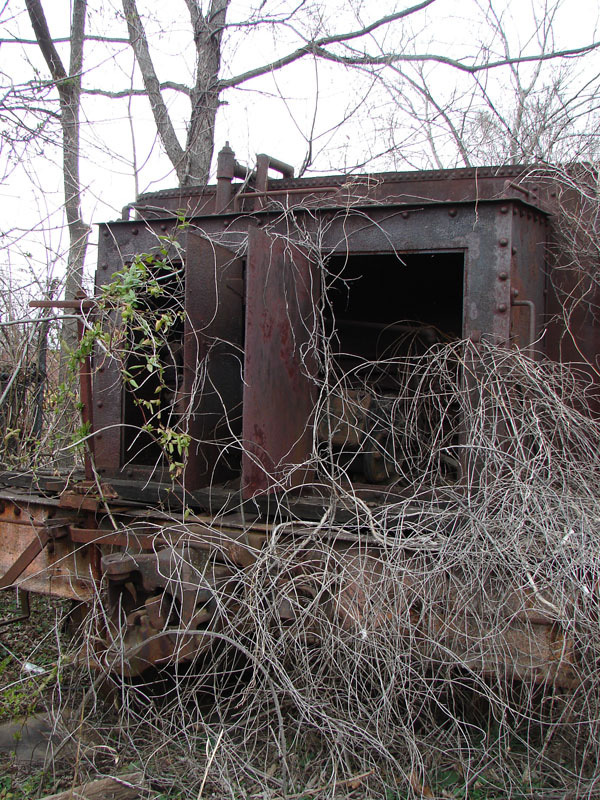 The tender will be cosmetically restored there before joining N&W 1134 in Portsmouth, Virginia in the spring of 2010. 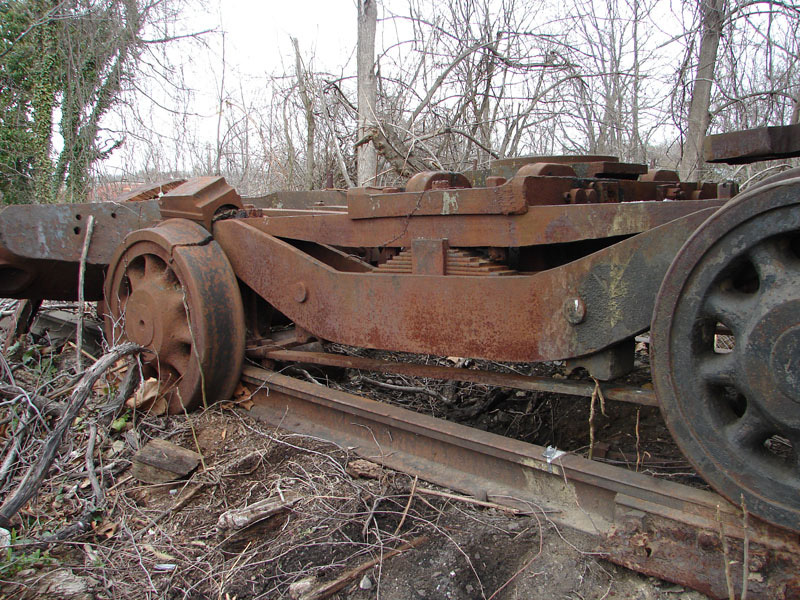 North Fork provided the equipment and manpower for all of the Lost Engine moves (except for the N&W 917 in 2008), and owner Will Harris has a private collection of historic railroad equipment there, including one of the four hoppers that was formerly in the VSI&M yard. 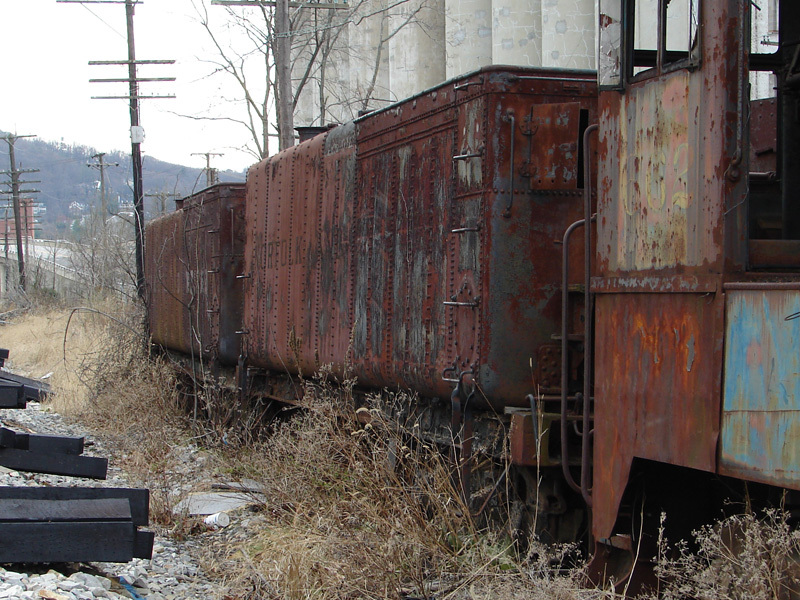 The other rolling stock consists of two auxiliary tenders, a flat car, and an orphaned pilot truck that apparently came from a long-scrapped, unidentified 4-8-0. 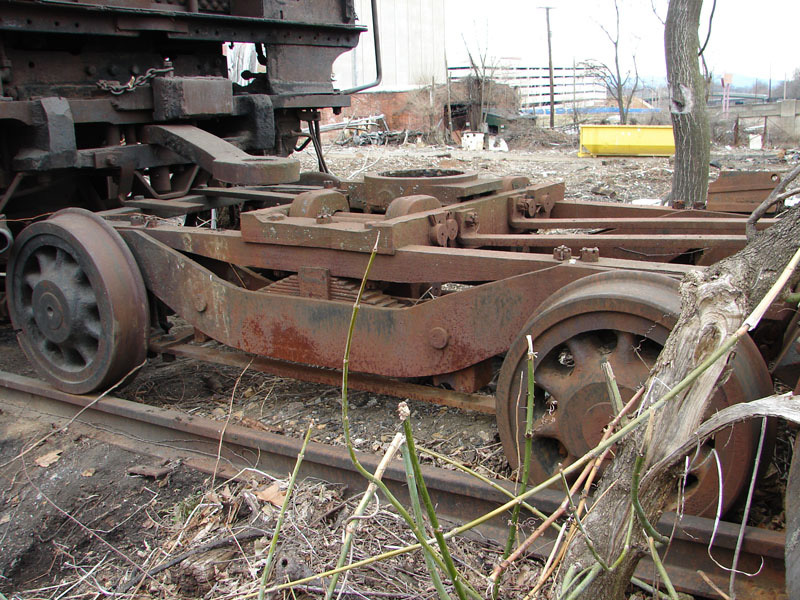 The flat car was apparently used as a boom tender for a wrecking crane. 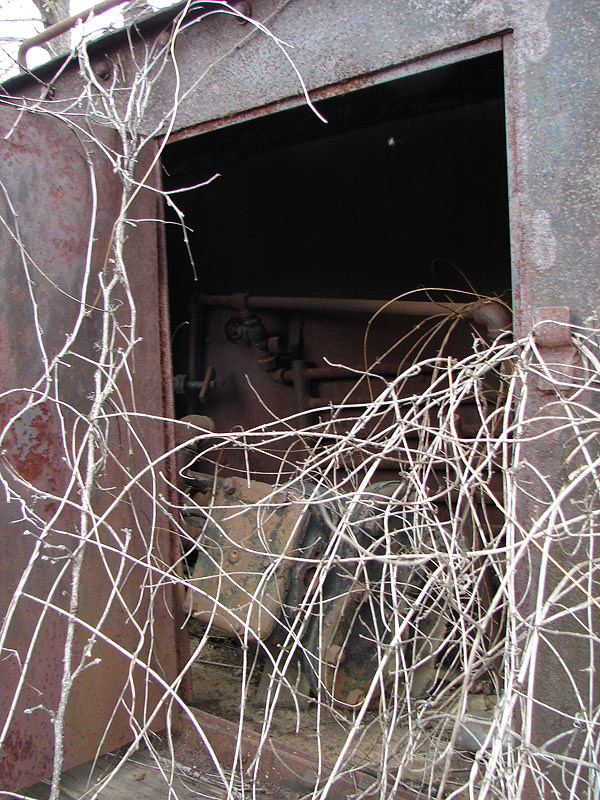 It has a square water tank mounted at one end of it, and a compartment that contains a steam-driven water pump. 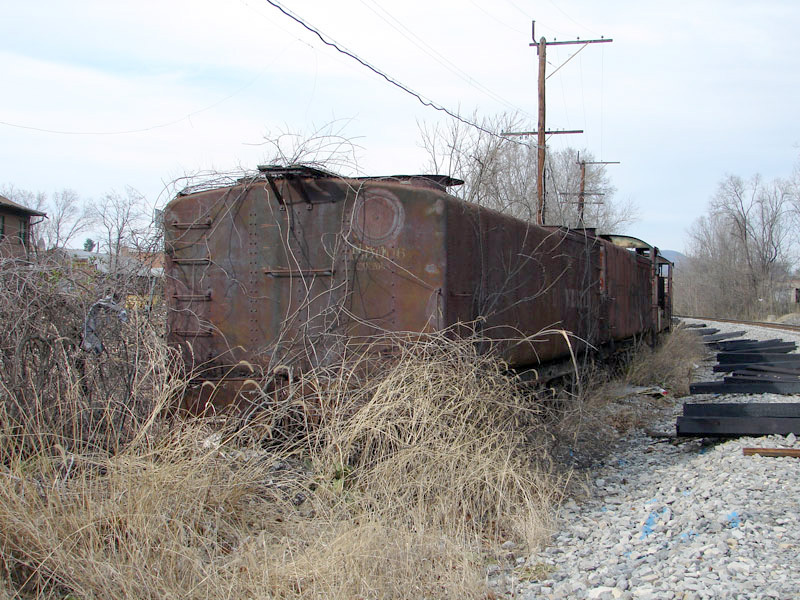 The large tenders are in reasonably good shape, but will need some work to either fully convert them into water cars by removing the old coal bunkers, or to rebuild them as coal tenders again. 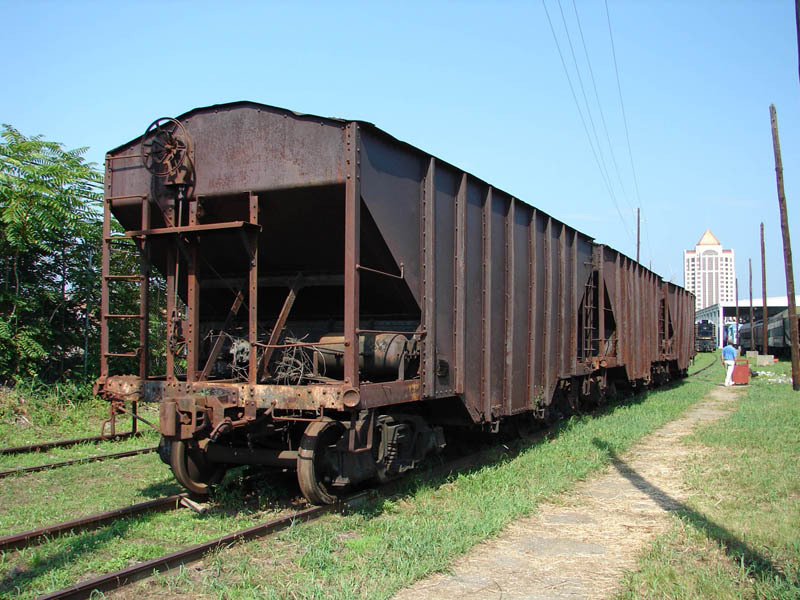 Until recently, there were also four hopper cars in the yard that have since been rescued. Three of them can now be seen at the Virginia Museum of Transportation. 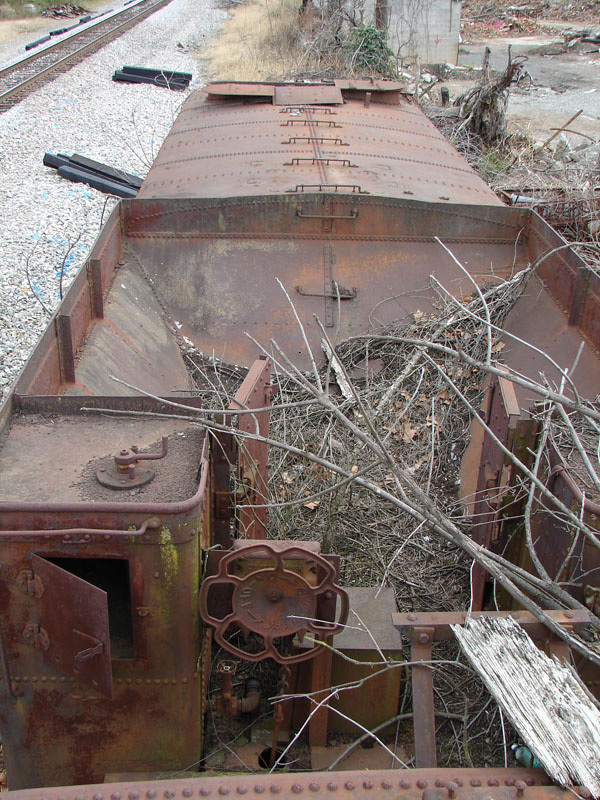 Three of the four hoppers removed from the scrapyard are now on display at the Virginia Museum of Transportation. 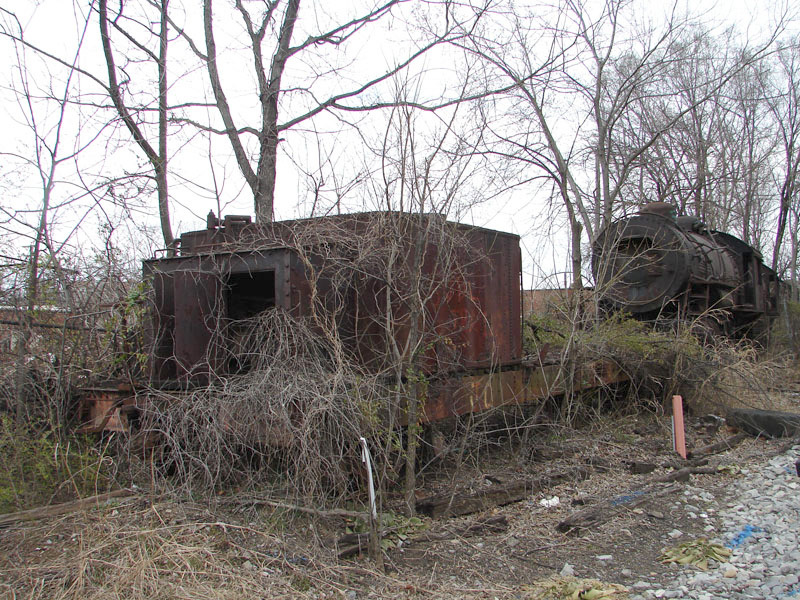 The two tenders sit outside the scrapyard fence behind Chesapeake Western diesel no. 662. 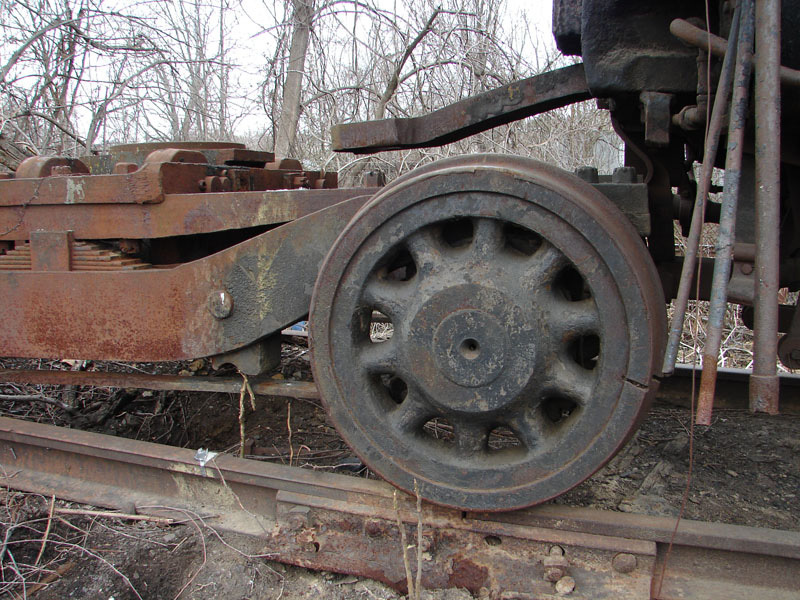 The only modifications to this tender appear to be the cut-down "hungry boards", the installation of the brake wheel, new stirrups and grab irons at this end, and the coupler installed in the drawbar pocket. The rear end of one of the tenders showing the inspection hatch. All trace of lettering is gone on this one. The rear of the other tender, showing the inspection hatch welded up. 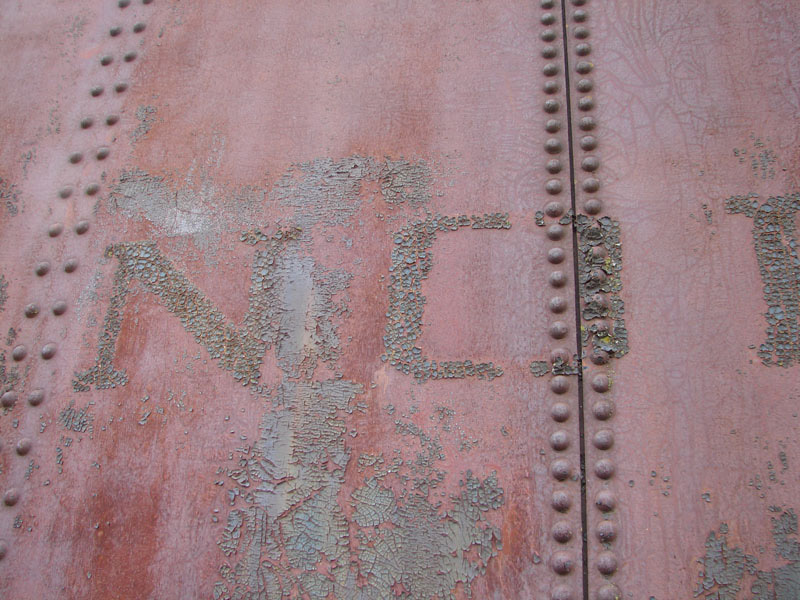 Some lettering is still visible here. A broader view of the two tenders from the rear. 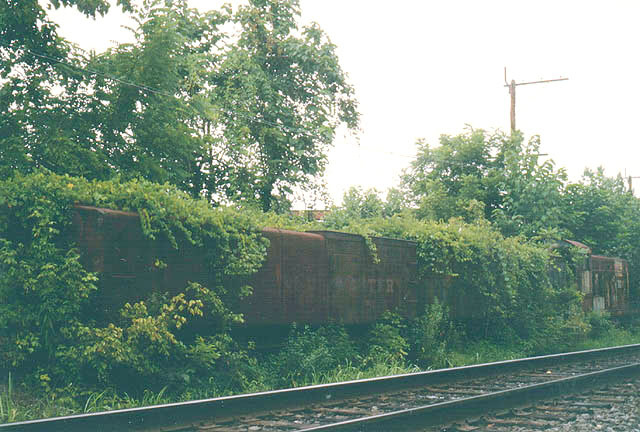 The flatcar sits between Chesapeake Western 663 and N&W 1118. 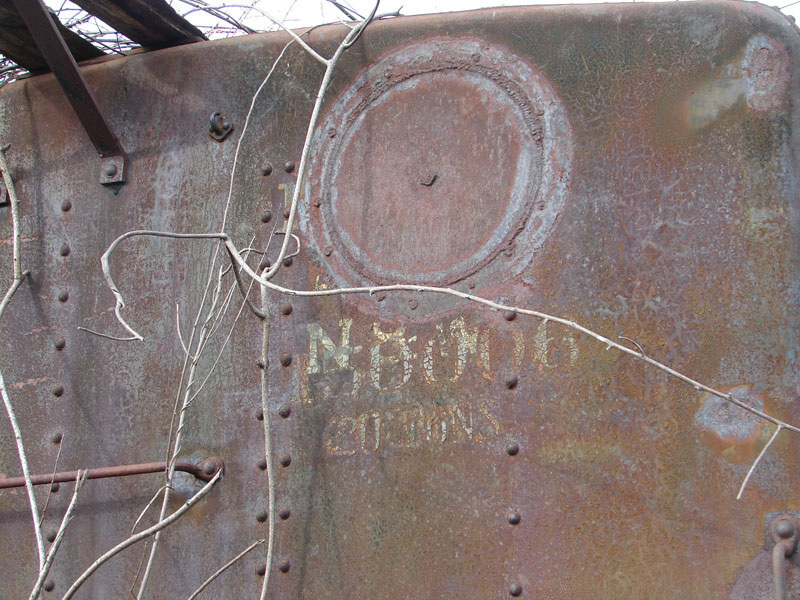 A closer look at the water tank mounted on one end of the flatcar. 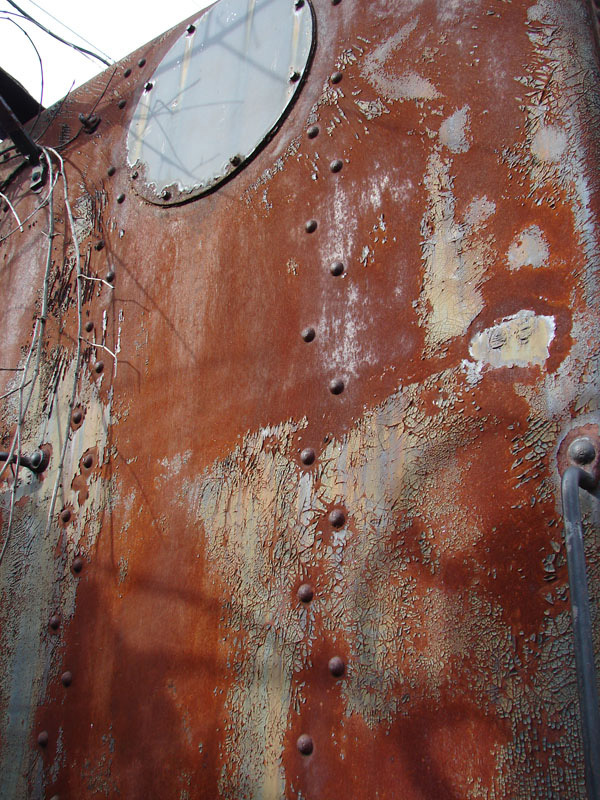 This compartment on the rear of the water tank contains a "steam lizard", a small, steam-driven water pump. 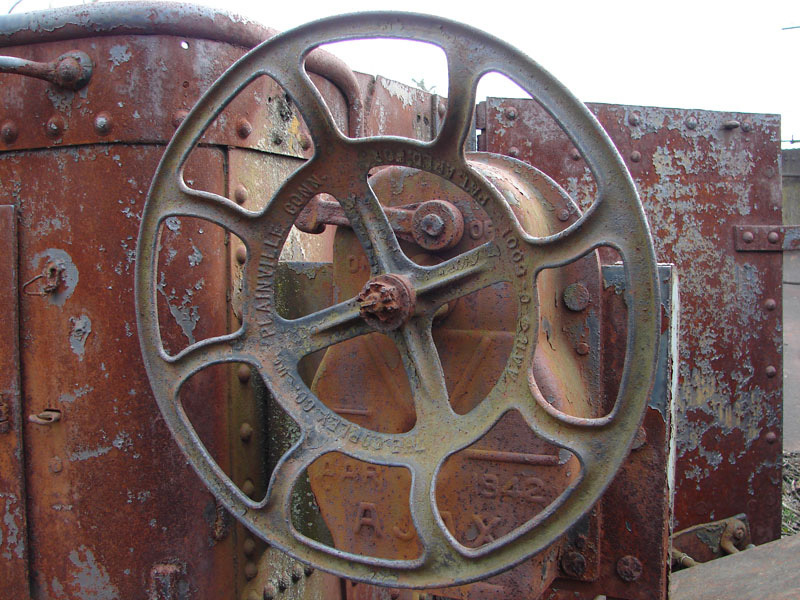 A closer look at the steam pump in the rear compartment on the flatcar. 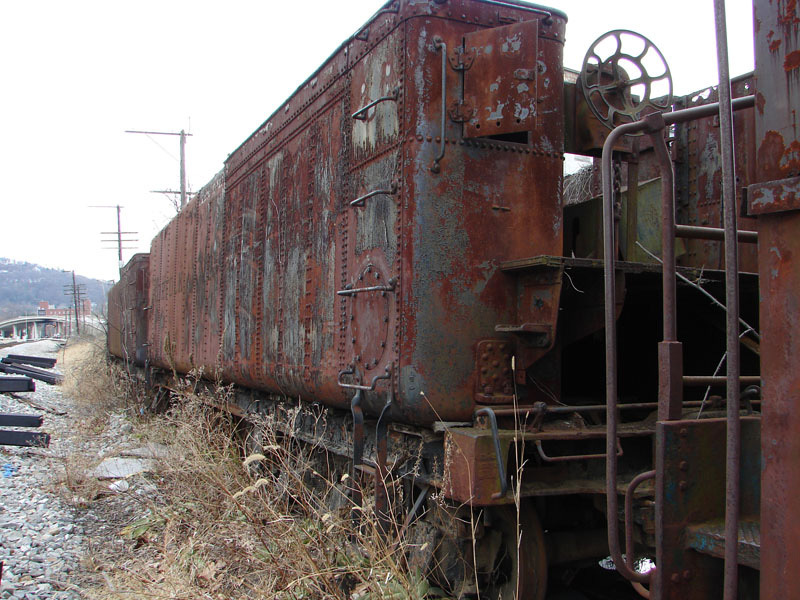 This orphaned pilot truck sits on the siding behind no. 917. The engine it belonged to was scrapped decades ago. The view from the other side. 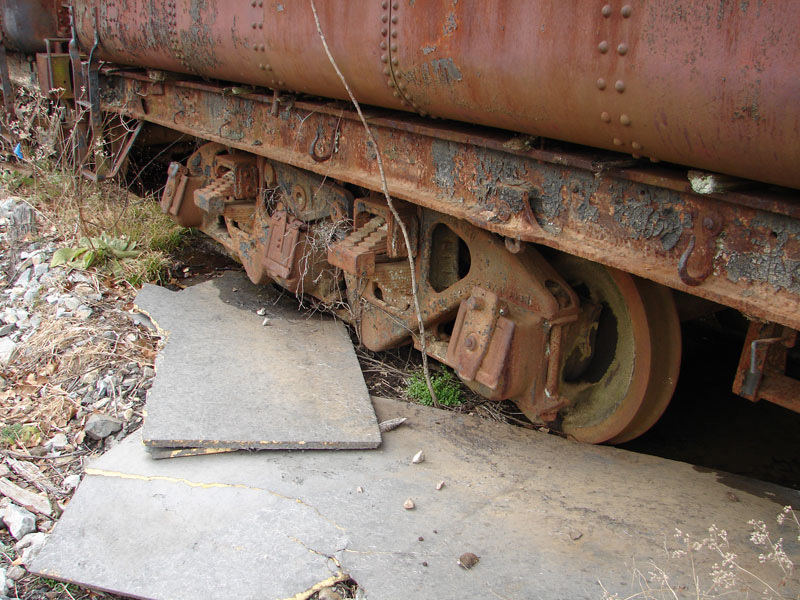 Note the derailed wheels and cracked tire. 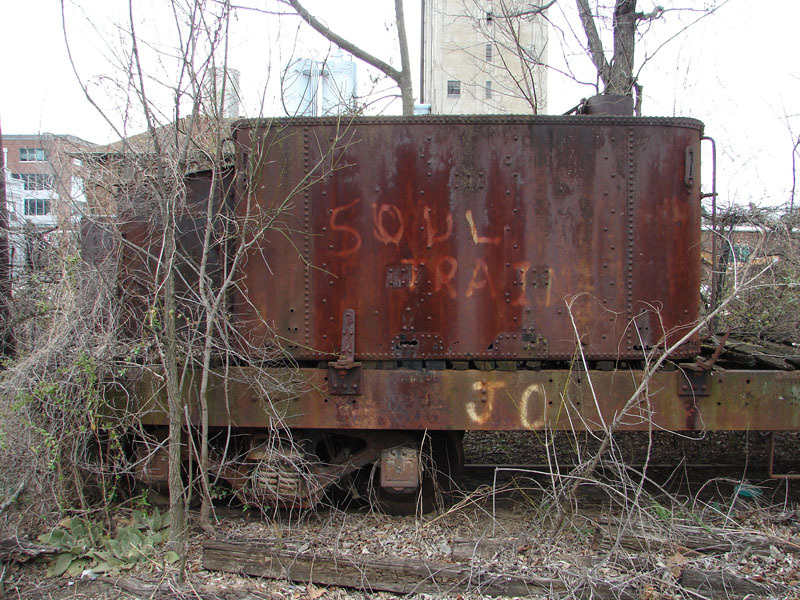 The truck appears to have come from a 4-8-0, either an M2 or one of the earlier M or M1 classes. It bears no identifying marks that I could find. This pilot beam is lying next to the truck, and may have come from the same engine. 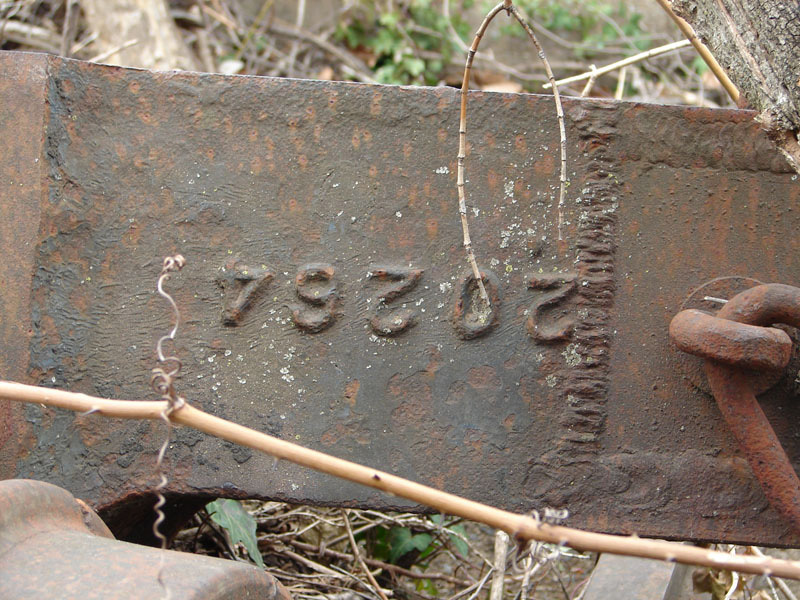 If so, the builder's number would be a clue to its identity. 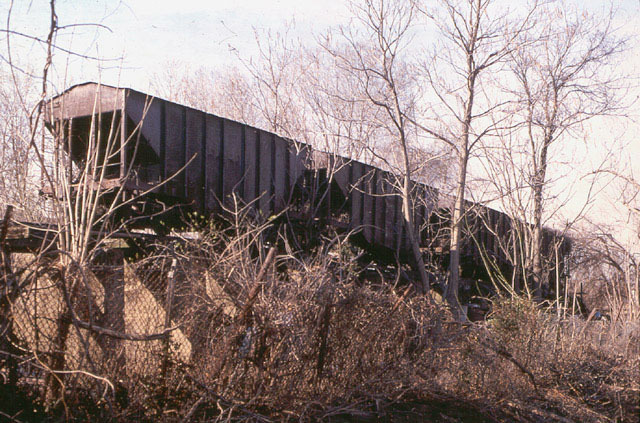 The bunker sides appear to have been cut down as part of this tender's unfinished canteen conversion. 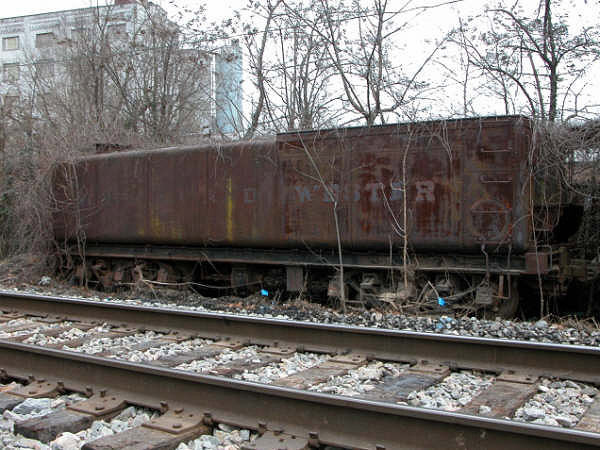 There are four hopper cars and a coal dock also in the scrapyard. The hoppers look like they're in reasonably good shape. 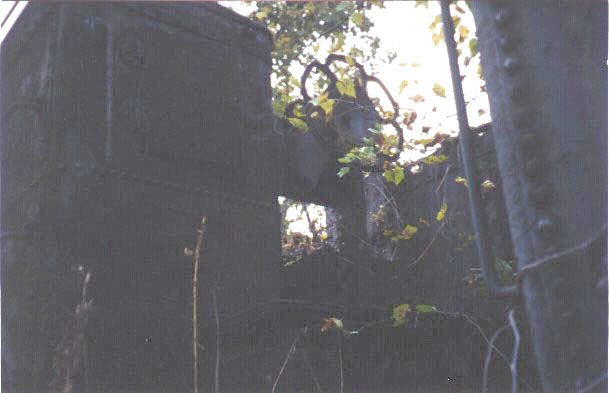 The tenders were built as coal tenders, and their conversion to water "canteens" was never fully completed. 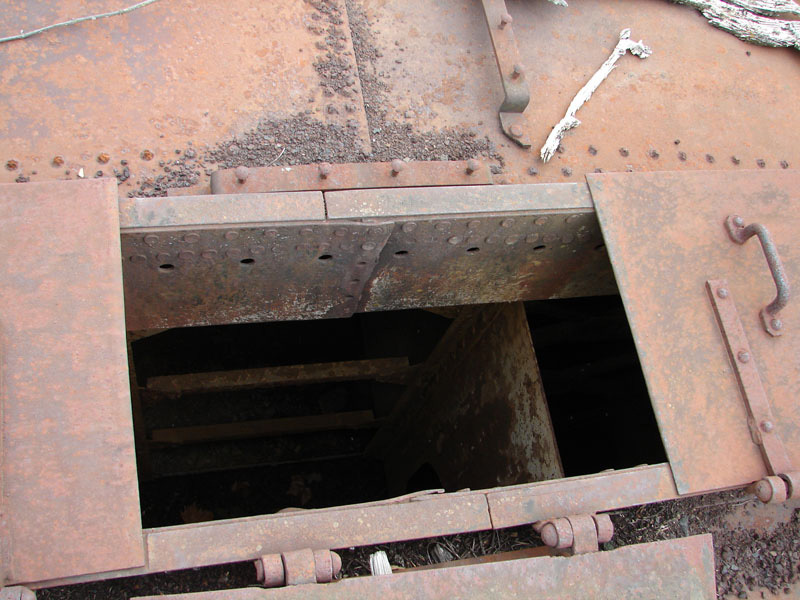 A close up of one of the large tenders, its coal bunker still intact. These two large tenders look more like giant plant pots in the summer, as the creepers spill over the top of them.